More about iittala Toikka Pilot 2018 Annual Bird Oiva Toikka was inspired by seafaring for his design, so the 2018 Annual Bird's name actually referenced a maritime pilot. Fittingly, Pilot wears a beautiful shades of marine blue with silver lustrous stripes, which take on an algae green hue towards the bottom. The tail also has a swirled detailing which can actually be felt when this medium-sized bird is in hand. 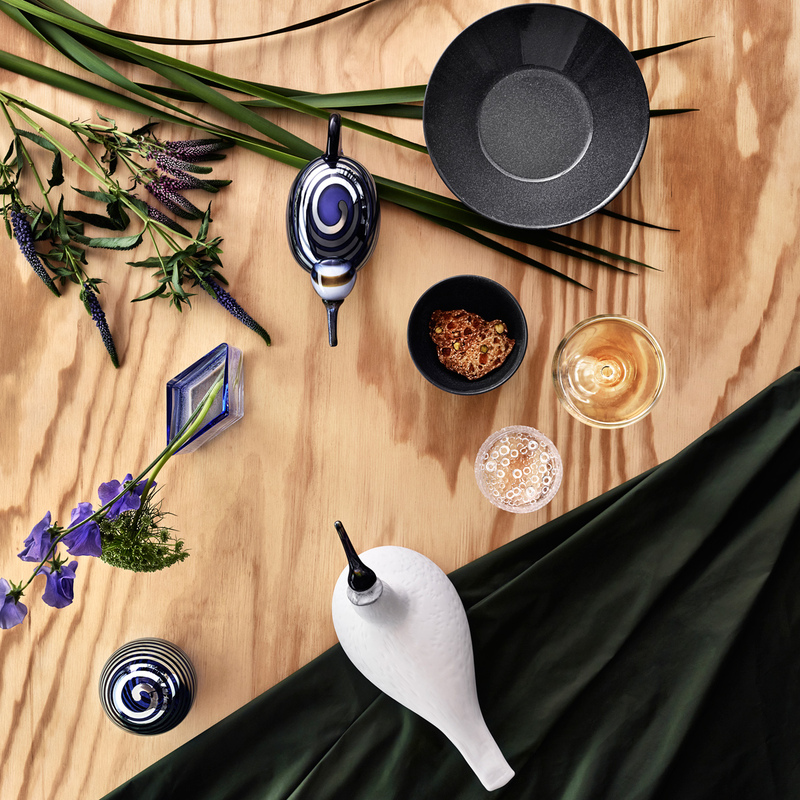 Only available for 2018, each handcrafted iittala Toikka Pilot 2018 Annual Bird carries the signature �O. Toikka IITTALA 2018� to ensure authenticity. Like all Toikka treasures, yours may not look just like the one pictured; the variation in craftsmanship is what makes each one a truly unique piece of art. I loved the great deal that I received on my last purchase of the Toikka bird. Thank you for your careful and speedy shipping and for being willing to delay the shipping date. ProsExcellent price - $50 off is an excellent promotion. Safely shipped. Flexibility on shipping so that I could use the coupon and have him shipped in the States. I really enjoy this bird which flew from Finland over here to US. The company made it easy to order via their website. This is a Christmas present to my wife.